After I graduated from Plymouth University, I first worked as a Research Officer with a local health charity focusing on mental health and information giving in both pre and post diagnosis of a visual impairment in ophthalmology clinics. In 2016, I began working as a Trainee Psychological Wellbeing Practitioner carrying out assessments and evidence based Cognitive Behavioural Therapy with patients. So far, the best thing that has happened in my career has been seeing the patients I support gain confidence and progress through treatment and seeing a real difference in their lives. I would definitely recommend completing a placement year. I worked in the Psychological Medicine Department at Southampton General Hospital for my placement year. I supported clinical psychologists in respiratory medicine, cystic fibrosis and occasionally in the young person’s cancer team. I also carried out research focusing on the use of a multidisciplinary approach for asthma control and psychoeducation. This year provided me with vital experience and knowledge of the application of clinical psychology in practice. Would you recommend Plymouth University? Yes! Plymouth has many qualities that make it a fun and fantastic place to study. The campus is always buzzing with something going on and there is plenty of space to grab a coffee with friends and study. 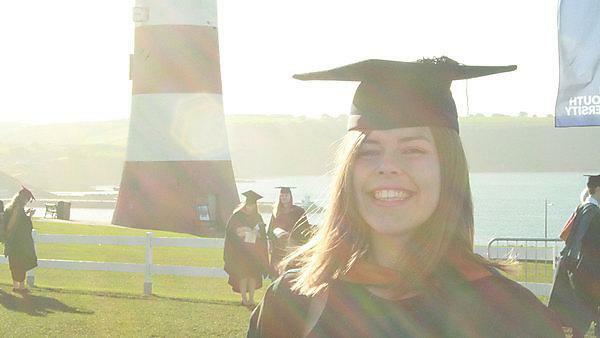 I found that since I moved to Plymouth as a fresher everything was on my doorstep and I felt involved.